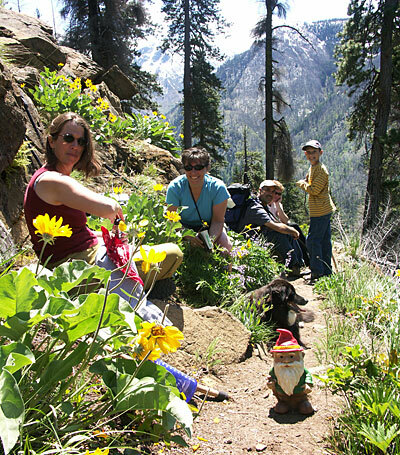 Our thanks to Heather for recruiting all the sherpas, and Pat, Mark, Kelly, Vickie, Brent, Tristan, Hannah, Tessa(Jawea), Clover, Odie, Jango and the Gnome for a great hike in the mountains. And also thanks to our many friends who have visited us in the three days since we’ve been home. 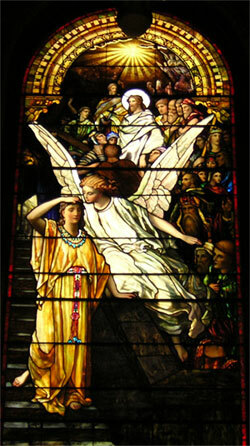 Seeing all of you has been very energizing and healing for Sandy and I. 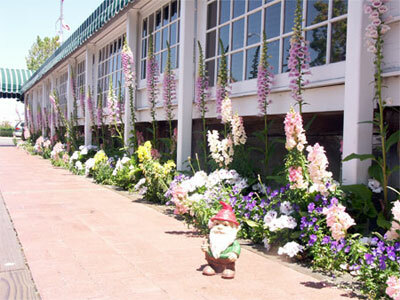 Remember, the Garden of Friendship is always open. We arrived today, Friday, to our home which has never seemed more beautiful. 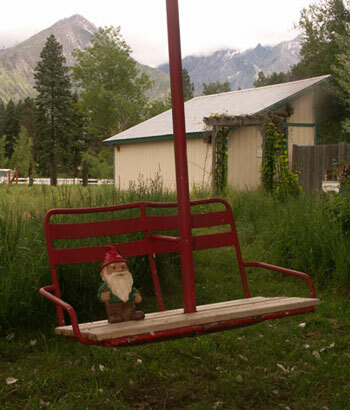 A short version of our journey home… it started off a bit rough, to say the least. Monday afternoon, the day before we were going to get in the car and start the 1,000-mile drive home, I think my body just shut down - I had severe muscle aches, intense chills for a few hours and then a fever and sweats all night. Needless to say, I didn’t think we would be packing up and leaving the next morning. But somehow Tuesday morning I had just enough energy and coherence - and some coaxing from Sandy that we’ve got to get out of Palo Alto before we’re both too weak - to somehow throw everything in the car and get on the road. We made it to Ashland, utterly exhausted and spent - I’m still recovering from what had nailed me and the drive is very rough on Sandy - and stayed at the same hotel as on the way down. Wednesday we made it to Portland and fell into the welcoming arms of our friend’s - and LiveStrong Ride teammates - Don and Deb (D2), in their wonderful tree house haven. After an evening and following morning of delicious food and loving encouragement, we reluctantly bid them farewell and got back on the road. We got to Sandy’s parents home (about 50 miles from ours) and fell into their welcoming arms to stay the night with them. Later in the evening, about 9pm, we were sitting in their living room, which has large windows looking out over the town and college campus below, when a huge fireworks show started up - and we had the best view possible. It was amazing. We joked with Sandy’s parents that they shouldn’t have arranged it just for us - but it felt that way. Our own personal homecoming fireworks show. And today, Friday, we got home… and, again, like last November’s surgery homecoming, we marveled and cried at the wonderful way our home had been made even more special by our friends…. flowers planted everywhere, flowers inside, new patio furniture, a huge banner across the kitchen signed by coworkers, cards, signs, and more than our eyes could take in… we are overwhelmed by the beauty of it all. And overwhelmed by all the love and friendship that pulled us home. There are no words to express our love and appreciation for all of you. All we can say is thank you… And please, feel free to stop by - or send messages. We are definitely up for visits. Sandy would love to see everyone. And if she’s not up for it, we’ll let you know. Don’t bother calling (since we rarely answer the phone), just come by. The Garden of Friendship is always open. Yes, Living with a Brain Tumor. As we said in yesterday’s post, we will use this post, our last one for a few days as we drive home starting on Tuesday, to explain Sandy’s condition, prognosis and the next phase of her treatment in more detail. We also posted a lot of photos yesterday if you haven’t seen them. It is important that everyone understands that behind her glowing smile in those photos there is a fight for life going on… and we don’t want to waste energy repeating in person where she’s at and what’s to come. And also to make it as clear as possible what’s happening. So please consider this information sharing as an effort to make things as easy as possible for Sandy and myself. It can be exhausting and draining to answer the same questions and tell the story over and over - and just to know that it’s not understood what is going on. To most of you who have been reading this blog, and reading between the lines sometimes, the words below will be nothing surprising. And though they are profoundly and painfully difficult for me to write, I am fighting back the worst of fears and trying to hold on to life… and hope. 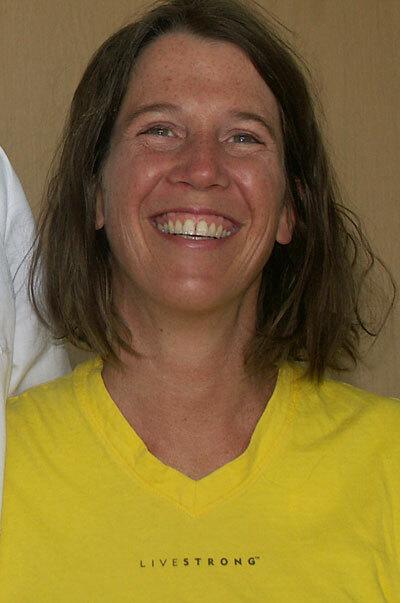 Since her surgery in October ‘05, Sandy’s brain tumor has been diagnosed as a Glioblastoma Multiforme Grade 4. This is one of the worst and fastest growing types of brain cancer. The statistics show that it is very rare for people with GBM tumors to survive very long - sometimes people die within a month, sometimes a year, sometimes - and rarer - do they live longer. Of course, we know these are just numbers, but they are real numbers. We can’t ignore them. But we’re praying hard and counting on it that she will be one of the exceptions to the statistics. We met with her neuro-oncologist on Friday and he showed us her post-operation MRI images on a computer screen. The new surgery site and the surgery site from October (about 1-1/2-inches apart) are plainly visible - each one a 1/2 to 1-inch diameter area of her brain that is not there. In between and spreading beyond these two surgery sites he pointed out an area of lighter colored wispy lines (which they had also seen on her pre-operation MRI), indicating an area of new tumor growth. Her neurosurgeon determined after seeing the MRI the day of her surgery that it was too risky of an area to operate on - it would have definitely caused some vision loss and other deficits. So they stayed with the plan to remove the active tumor area that was more safely operable. What is clear from the comparison of the MRI’s is that the cancer is very aggressive and growing quickly. And it also apparently now unaffected (though maybe slowed down) by the chemotherapy she has been on since October. Due to the location and spreading nature of the tumor area, any more surgery is too risky and would affect her quality of life. Cyberknife radiation surgery is also not an option, as we had once hoped. Apparently what shows up on an MRI is not all of the active tumor -there is an unseen active area as well - the proverbial “tip of the iceberg.” About a quarter of her brain would have to be radiated to affect the tumor, a very risky and life-threatening option. So her neuro-oncologist is switching her to a new phase of treatment. She will be taking two drugs - one is a chemo drug called Cytoxan and the other is a cell-growth inhibitor called Tarceva. The drugs are in pill form and she will likely be on an every other week schedule of taking them. In two months from starting the chemotherapy on June 1 Sandy will have an MRI on August 1 to see how well these drugs are working. Because Sandy is doing well and is in otherwise good health, her oncologist does not want to damage her health with the more toxic and ravaging chemo drugs at this point. It’s about quality of life - something that is very important to Sandy and I.
small amount of vision loss is in the lower left quadrant of her vision. Her brain and body are of course still in some shock, but she is improving each day. it will help us all. We want your visits. And your emails and calls. to join us - you mean everything to us. We wanted to offer the following from the Lance Armstrong Foundation. Sandy and I have been inspired by and supported Lance in his battle against cancer - his own and everyone else’s. We have worn the yellow wristbands for two years now… ever reminding us to LiveStrong. With husbands, wives and partners. With kids, friends and neighbors. And the people you live with, work with, cry and laugh with. Planning for surviving. Banking your sperm. Preserving your fertility. We’re your champion on Capitol Hill. Your advocate with the healthcare system. Your sponsor in the research labs. Sandy and I are looking forward to getting home about Thursday (May 25th) this week. I should be able to check blog comments and emails as we go. And we also look forward to seeing our son Cameron (and having our friends who have not met him get the chance to) - he has been going to college in Hawaii and will be coming home for a long visit sometime in June. 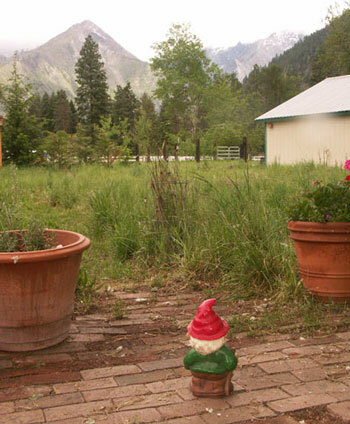 We also look forward to having some good times with friends and family soon - walks, hiking the ridge trail, evenings around our campfire, dancing to some live blues bands, and of course, another garden party with the Gnome as guest of honor! Updated Sunday, May 21 at noon. Sandy and I have been enjoying the peace and quiet of the hotel. Trying to rest, recover, heal… Yesterday, we met with her neuro-oncologist at the Stanford Cancer Center, and saw her post-op MRI from Thursday. Monday we meet with her surgeon for a last evaluation before we get on the road driving home on Tuesday, May 23, and arriving home later in the week. She is slowly feeling stronger everyday. Her pain and other symptoms are being kept in check, more or less, with medicines. She has a very small loss of part of her peripheral vision on the left side, which may be permanent due to where the surgery was, or possibly a result of swelling in the brain (which is normal after surgery and she is on medication to reduce potential swelling). This small amount of vision loss is in the lower left quadrant of her vision. She is walking slowly and I have her hold my right arm when we walk around - especially in places like downtown Palo Alto today, where we bought a new cell phone, and a some walking shoes for Sandy. She’s a bit unsteady, but this afternoon she was able to walk around the gardens at the hotel by herself, and is improving all the time. It’s of course typical for the brain to go into shock from surgery, and we realize she’s experiencing some of those symptoms, but she isn’t experiencing any dizziness or balance problems. 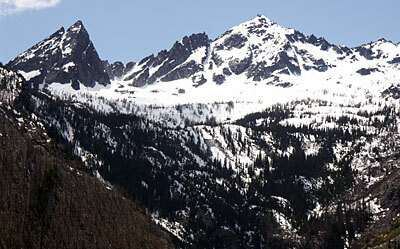 With her strength and determination, we know she will be hiking Icicle Ridge in no time. And we can’t wait for that. She’s also very excited about the LiveStrong Bike Ride in late July (see link at left), and still plans on riding 10 miles. So don’t forget to donate to our team members who haven’t raised $500 yet toward the fight against cancer (to be in the ride, a minimum of $500 has to be raised by each person). Like her father says, “When the going gets tough, the tough get going.” So get training team, we need you. Let’s raise a huge amount of money. Use the photo of Sandy’s surgery site with it’s 22 staples if you have to - she’s proud of it. 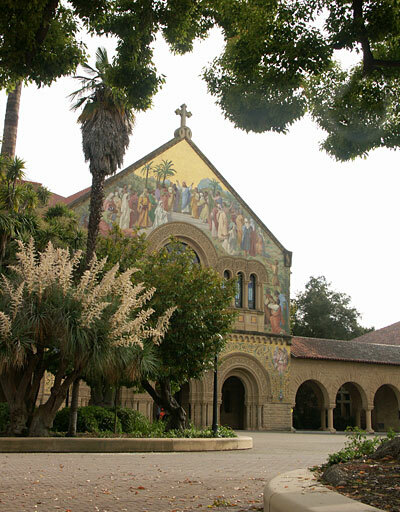 On Monday we will post a final blog from Palo Alto. We encourage folks to spread the word to have all our friends and family read the blog on Monday. We will explain Sandy’s condition, prognosis and the next phase of her treatment in more detail. It is important that everyone understands that behind her glowing smile in those photos there is a fight for life going on… and we don’t want to waste energy repeating in person where she’s at and what’s to come. All of you have meant so much to us, and after we arrive home we will need your continued support. Please know that nothing you say (or haven’t said), nothing you ask (or haven’t asked), and nothing you do (or haven’t done) will offend us. We realize how difficult this journey is for all of you as well, but we hope that by continuing to share this it will help us all. We want your visits. And your emails and calls. And your prayers. If we’re not up to talking, we’ll let you know. This journey does not have a quick finish line. It has it’s ups and downs, just like the Tour de France. 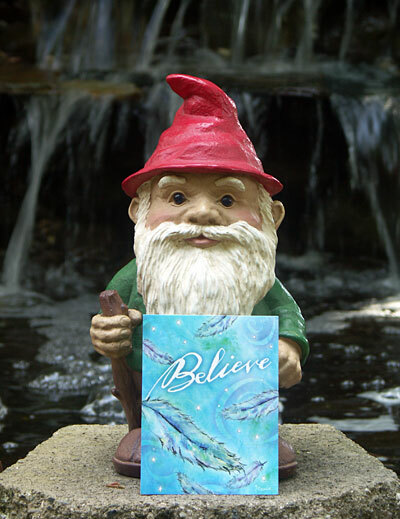 We believe that hope, faith, love, courage, and a dash of humor will keep us on this path. Please continue to join us - you mean everything to us. Live Strong. Victoria, THANK YOU for the bag of lavender from your garden. It arrived at the perfect time. Sandy says the lavender is better than any of the multitude of drugs she is having to take - helping her relax and find some peace. Sandy is Out of the Hospital! Another great day… the best one yet. 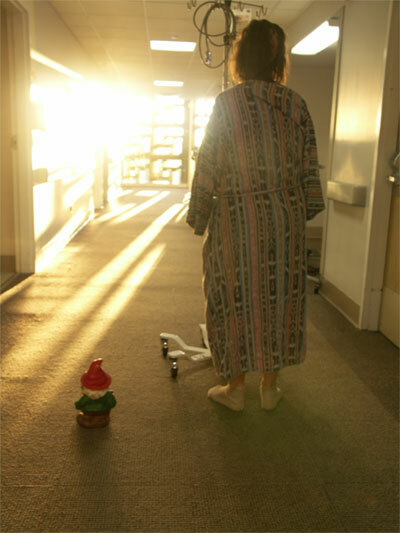 Sandy got her post-op MRI this morning at 8:00 and was released from the hospital about 1pm…. But first, a little story from yesterday…. I was walking back toward the hospital after getting a little fresh air in the late afternoon sunshine, turned a corner down a walkway lined with beautiful flowers and trees leading to one of the hospital entrances… when I started hearing, softly at first but getting louder as I got close to the building, the sound of a Native American flute. At first I thought I was hearing it in my mind, because it’s a sound that I and especially Sandy really love. I couldn’t tell where the flute song was coming from because it was echoing off the buildings on each side of me (sound familiar? 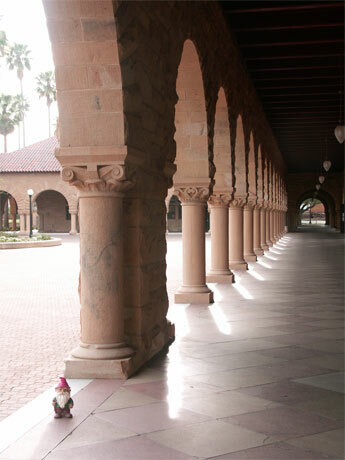 I had a similar experience with Gregorian chants on the Stanford campus last October, somewhere in the October blog notes). For a second I thought I was hearing the CD we had in Sandy’s hospital room, but realized it couldn’t be because her room was on the other side of the building. I soon saw the source of the flute music - from a distance he looked like James Earl Jones in the movie Field of Dreams - sitting on a bench and playing a beautiful and haunting flute song. I stopped and listened, he looked up and smiled, a warm light in his eyes. I went in to the hospital, up to her 3rd floor room, and told Sandy I had something very special to show her, but I didn’t tell her anything more. Luckily she was up for her first big adventurous walk and first trip outside. 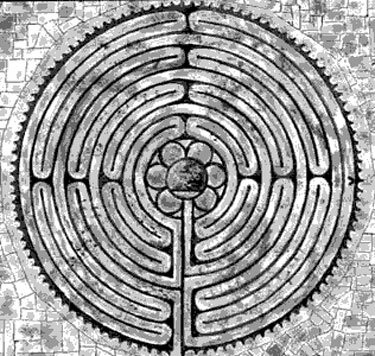 She held on to me as we walked slowly down the long halls, down two escalators, and out into the fresh air. I was afraid the flute player would be gone by that time, but he was still there. He was reading a book though, his flute in a leather case next to him on the bench. We walked up to him (Sandy no doubt wondering what I was doing) and I asked him if I could possibly impose on him to play again for Sandy because she loves the sound so much, and also told him she had just had brain surgery on Monday. He smiled warmly and said, “Certainly, sit on down here…” Sandy sat down next to him and he began to play a traditional-sounding Native American song on his beautiful cedar flute. After he finished, he asked Sandy, “Would you like to learn how to play?” Well, with a little coaxing, he talked her into it. He taught her how to play a basic scale of notes, and she was able to do it after a few tries. 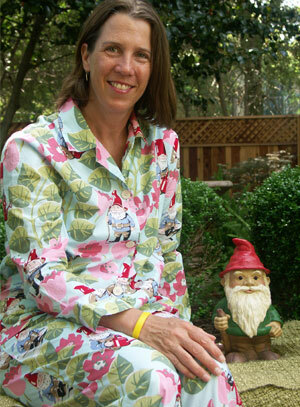 She’s a natural (and quite possibly the first person to play a Native American flute wearing gnome pajamas!). What a special experience - Sandy was glowing with the magic of it. Harrison, we thank you. This morning, Sandy had her post-op MRI. 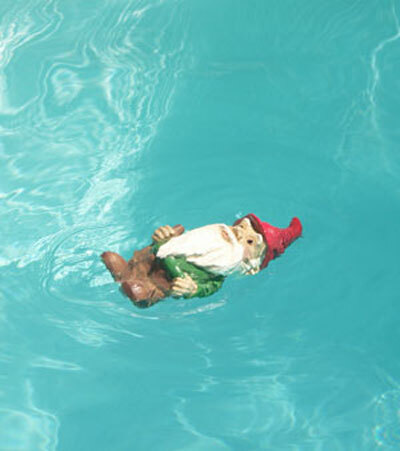 It was a grueling and painful experience for her. She had to lay down on her back, and on the incision site on the back of her head - tender and very sore with 22 staples - while the MRI machine pounded and grinded its incredibly loud piercing noise for 40 minutes. She toughed it out, barely making it, since she also had to hold absolutely still the entire time. Also a big thank you to everyone for the amazing notes, emails, letters and continuing love and support. And a thank you to Carol for sending the beautiful handmade quilt (Sandy is never without it). 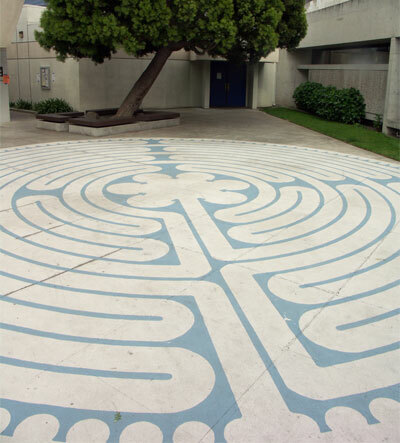 And thank you to Margaret and Greg for the Labyrinth - a very special and magical gift. And thanks to all the Orondo School students for the wonderful cards they made. After that, we got a little more dose of reality when we walked over to the Cancer Center to pick up some of her medications for the next few days. But we got back to our hotel - this green quiet oasis of big trees and a creek running through it - and it felt like paradise. Sandy is laying peacefully on the bed while I write this. And we are so happy to be here. We’ll deal with tomorrow - with its trip back to the Cancer Center and the oncologist - tomorrow. Tonight we’re together in our little home away from home. We hope to be leaving here for our real home next Tuesday. Today, May 17 is LiveStrong Day! 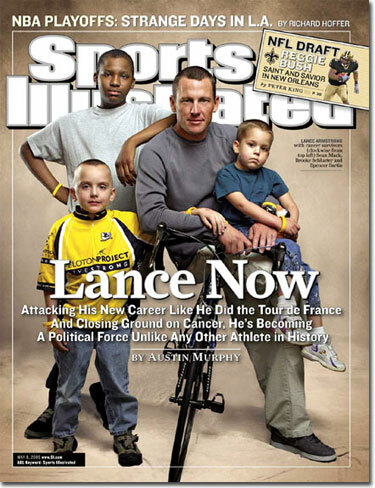 Read more from the Lance Armstrong Foundation. Sandy and I proudly wore our LiveStrong shirts (and of course the wristbands which we have not taken off in over two years - in fact, Sandy brags now that her wristband has made it through not one, but two brain surgeries!). We were quite a matched set in our yellow shirts, arm-in-arm, slowly walking the halls of the third floor of the hospital. Sandy is feeling, yes, stronger today. Still in quite a bit of pain, but gradually bouncing back. She of course tries to do too much - a little too far of a walk down the halls and she’s wiped out, head pounding, laying back down in bed for awhile. I try to keep her down and resting, but we all know that’s impossible. She still has not had a post-op MRI due to a lot of emergencies using the MRI machine, but hopefully tomorrow. She may also get to leave the hospital tomorrow! They removed the bandages from her incision site this morning, to reveal 22 staples. Her oncologist stopped by for a long visit today and we talked about the likely chemotherapy she will start in a couple weeks. More info on that when we know more. We meet with him again on Friday. And we will hopefully be heading toward home early next week! Thank you all again for the great comments, emails, prayers and love. I read them to Sandy every night and it’s the highlight of her day. OK, I guess I jumped the gun a little yesterday, and left some details out. I was too elated just to see Sandy. She had a rough, sleepless night in the intensive care unit - a loud, bustling and intense place full of pain and tragic stories unfolding. She was in a quite a bit of pain and was nauseous. She retracted her statement that brain surgery the 2nd time was easier. About the same, I’d say. I also had a rough night - because the ICU was busy, so was the waiting area for it - also full of pain and tragic stories. I basically didn’t sleep, despite setting up my favorite chair-and-two-ottomans makeshift bed. And today has been rough also, for different reasons. Her surgeon told me yesterday that though they were able to remove most of the tumor, there is a apparently a new area of growth that showed up on the pre-op MRI. They can’t say for sure yet until her post-op MRI happens (maybe tonight) and they get the pathology report back. But clearly, as we expected, this fight is not over just because the surgery is. The news of possible new tumor growth is still devastating. But she and I are starting to “put our Lance faces on” again after an intense and tear-filled day. More later tonight, the hospital health library is closing…. OK team… Sometimes a not so good day can turn into a great day…. 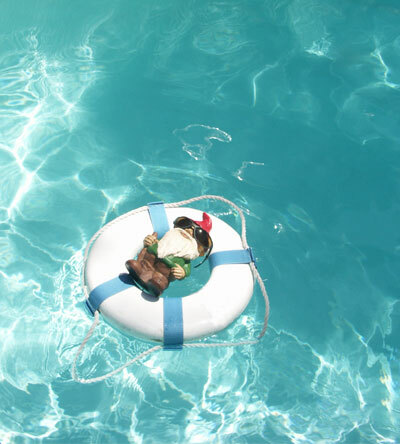 all you need is a little help… and an upgrade. Literally. In the time it took me to walk down the hall to the health library, write the post above and get back to Sandy, a small but wonderful thing happened. The hospital bed that they had moved her in from the ICU to her room around noon had not worked since the move - she could not adjust the tilt etc to get comfortable, an important consideration since she cannot lay on the incision site. They couldn’t fix the bed or replace it, so they moved her into a private room (she was sharing a room with a nice woman, in fact the same room she had in October). But the private room is larger, very quiet, and - best of all for you folks (Babs) worried I might be making a sequel to Castaway - there is room for a cot on the floor next to Sandy. OK, maybe the sequel is still in the works, stay tuned. I’ve still got the volleyball just in case. The photos say far more than I ever could. Sandy got through the surgery today with no complications. The surgery was delayed about 3 hours due to a big line-up at the MRI machine. She is still in ICU and will be there until tomorrow sometime if all goes well. I’ve spent a half-hour at 7pm and another few minutes at 8pm. She’s looking good, talking (imagine that!) and of course cracking jokes a bit. And also begging for the ice chips that the nurses ration out - she can only have a little ice until tomorrow. She’s groggy and sore, has a lovely new hairdo, but is the most beautiful thing I’ve ever seen. The five hours of tense waiting for news from her surgeon lasted a lifetime, it seems. She said she feels better than the last surgery in October, so I guess it’s true you can get used to anything, even brain surgery. More tomorrow, as they are kicking me out of the hospital cafe now. THANK YOU all for the continued love and prayers. It’s working. Happy Mother’s Day! to all the moms out there. A special thank you to Glenna, Carolyn and Emma. Being a mother has been the very best thing that has happened in my life. And I am so proud of these three strong women and also my son Cameron for being such a special person. Thanks to the Orondo School 4th grade for the great joke book they wrote and illustrated. We love it! I’ve read the online version but it would be great to have a copy. And thank you to the Orondo School staff for the wonderful card and the way too generous gift. Sandy is so blessed to work with such great folks. She misses all of you. Since I am left almost speechless, here’s some photos from today as Sandy and I walked on the Stanford campus in the golden late afternoon light…. Sometimes you just need the right pajamas… and they arrived in the mail today. Sandy had a rough night and was still feeling sad during a morning of tears. We’re on an emotional rollercoaster and just hanging on sometimes. And then a package arrived from some good friends back home in Washington… pajamas for Sandy. But not just any pajamas. 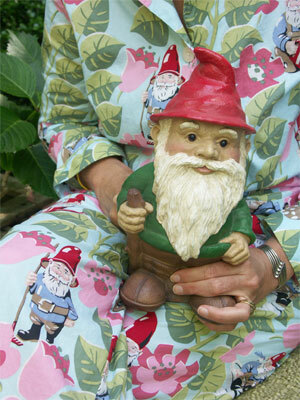 Garden Gnome pajamas! Perfect timing. How can you be depressed in pajamas like these? Thanks Nancy and Henry! 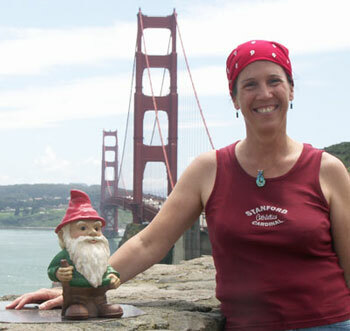 Sandy loves them… and so does the Gnome, of course. 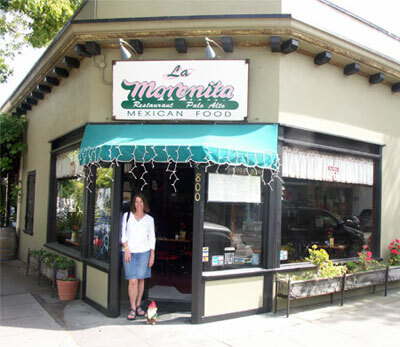 After relaxing out in the sunshine, we’re heading out to our favorite Chinese restaurant here - incredible food - we haven’t been there yet on this trip. Today we were at the medical center for a few hours for Sandy’s pre-operation meetings. 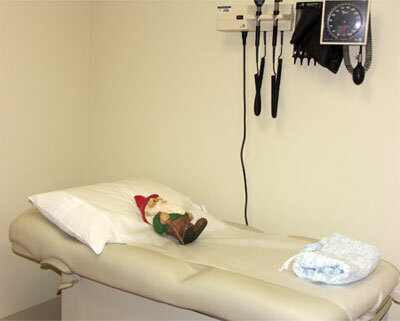 The Gnome went with us of course, and rested on the exam table while we waited for doctors. 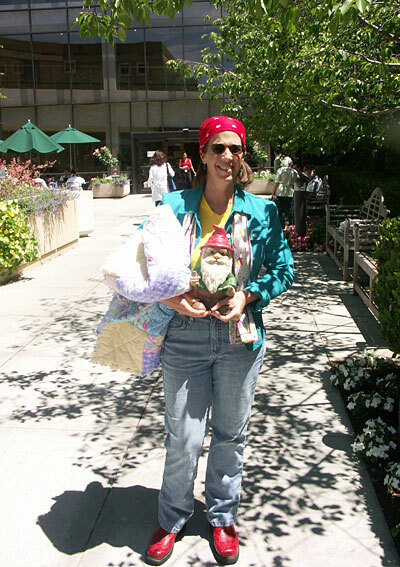 He was a big hit with the staff, and even Sandy’s neuro-surgeon liked him. He asked if he had a name and suggested “Dr. R****” - Sandy’s neuro-oncologist. “Yeah, I think he looks like him…” he laughed. We talked about the surgery scheduled for Monday. He’s very confident that it will go alright, with about the same amount of risk as the last surgery. Sandy is scheduled as his 2nd surgery of the day, so she asked him if he was going to get lunch first. “Are you buying?” he joked. “Definitely.” she replied. We then went to the surgery admitting office, and then to the anasthesiologist nurse to talk about the process some more. They drew some of Sandy’s blood to run baseline type and tests on. All of these pre-op meetings with doctors and nurses were so much scarier the first time around in October. But since we have been through it all before, we know what to expect and know the process. It’s of course still intense and took us one more big step toward the reality of Monday and beyond, but we were actually joking with her surgeon and the nurses. I don’t think we did too much of that last time. …the perfect place to celebrate being released from the exam rooms of the medical center. Again, thanks for all the thoughts, prayers, and love. We are so blessed. 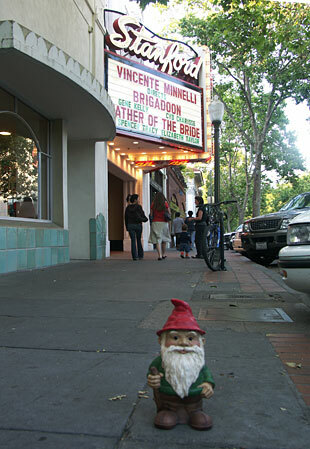 We saw Brigadoon. If you don’t know the film (Heather and Pat skip ahead) it’s the 1954 movie with Gene Kelly, Van Johnson and Cyd Charise… “about two Americans on a hunting trip in Scotland who become lost. They encounter a small village, not on the map, called Brigadoon, in which people harbor a mysterious secret, and behave as if they were still living two hundred years in the past.” Amazingly I’ve never seen it before, so to see it on the big screen was a lot of fun. Before and after the movie an organ rises out of the stage in front of the curtains, with a man playing songs from the movie. 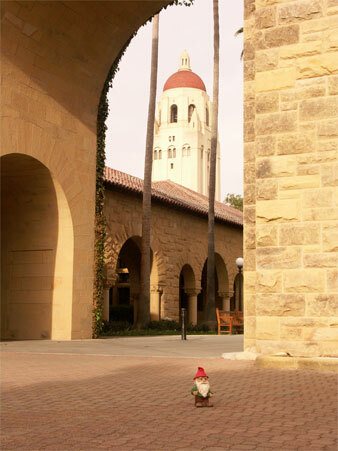 Today we went for a 4-mile walk on the paved trails in the hills above the Stanford campus…. 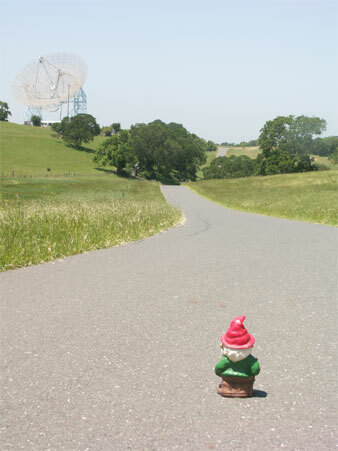 They call the area “The Dish” because the trail goes by a radiotelescope dish used by the university for research. It’s a wonderfully peaceful and beautiful place in this mass of humanity… green grass rolling hills and old twisted oak trees. After walking we had lunch at a deli and went back to the hotel and laid around by the pool in the warm sunshine… making the best of this “California Vacation.” We will be holding on to the memories of these days next week…. Only Sandy could say that, with a smile no less, and mean it. Tonight, we’re doing something more mundane… going to a movie at the Stanford Theatre downtown - a classic, old restored theatre that only shows vintage films. It’s the best place we’ve ever seen a movie in. Thanks to everyone for their thoughts, prayers, comments, emails and love… we’re taking it in everyday and it’s keeping us going.